These canine fellas are charming the Internet with their cuteness. It's the Chinese Year of the Dog. Dogs are loyal companions, known to be man's best friend. What better way to bring in the New Year than celebrate these cute companions. Presenting the best dogs to follow on Instagram. 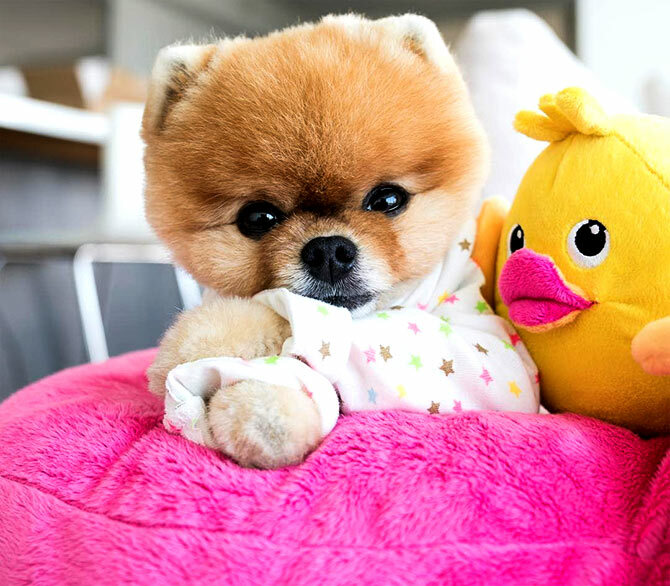 Jiff Pom is a pomeranian with over 25 million followers across social media platforms. In fact, Jiff is so adorably cute that people find it hard to believe he is a real dog, not a stuffed toy. Jiff holds the Guinness Record for the most Instagram followers for an animal as of 2017. In fact, his fame has led to merchandising deals -- you can subscribe to t-shirts, hoodies and smartphone cases with his name and photograph on it. His page declares him the King of pop culture. 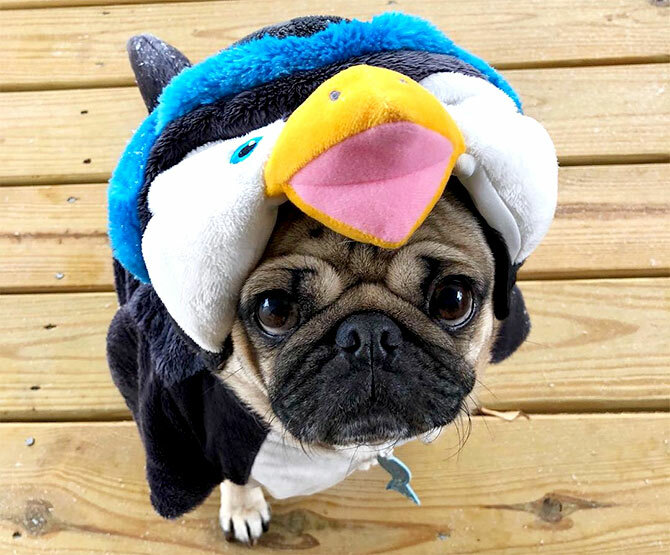 The Ohio-born pug moved to Nashvillle with his owner Leslie Mosier in March 2012. Besides Facebook, Twitter and Instagram, Doug has his own channel on Vine, Spotify and Youtube. He's done cameos with celebrities including Ed Sheeran, Justin Bieber. Doug also appeared in the video Swish Swish by Katy Perry. This Chihuahua Dachshund crossbreed was abandoned until he was rescued in a market in Los Angeles by Courtney Dasher. 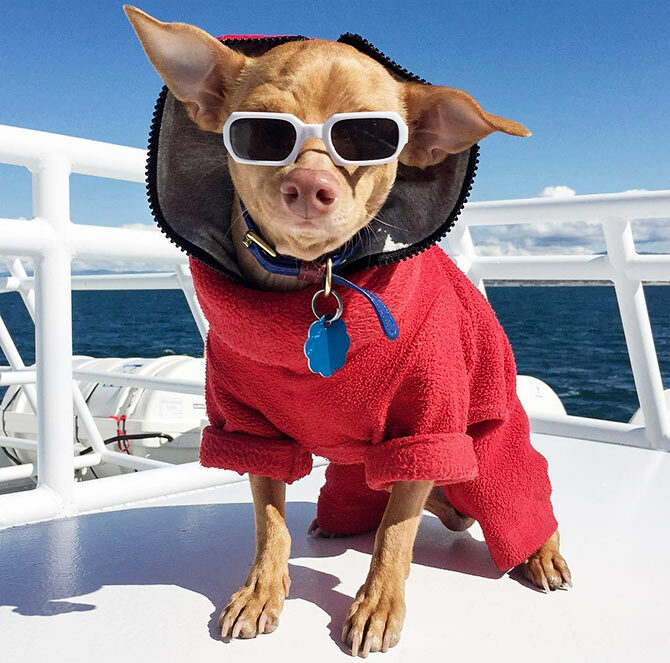 Since he first appeared on Instagram in 2012, Tuna has had a steady rise in followers. In 2015, a book featuring the best of his photographs was published with the title: Tuna Melts My Heart: The Underdog With The Overbite. Dasher uses the money raised from Tuna's promotions to support animal rescue groups. When dogs howl it is annoying, when Maru does it, it's pure music. That's how this Shiba Inu from Japan talked his way to fame. What's interesting is Maru's owner Shinjiro Ono started the page after the devastating earthquake and tsunami. He wanted to bring some cheer to the people of Japan. 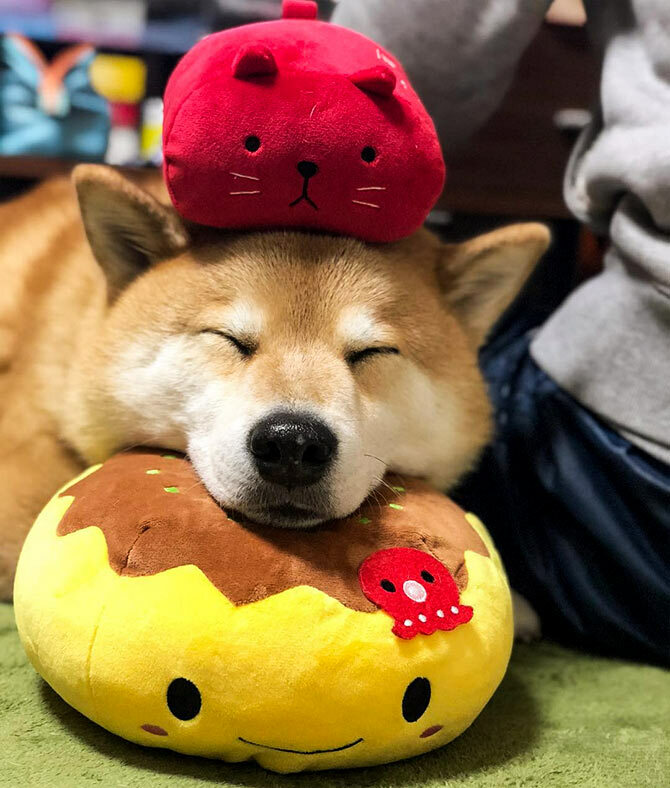 Maru's popular feeds involve him posing with cute stuffed toys and props with his eyes shut. His best trait -- he gets along with other dog breeds and species like a house on fire. The 16-yr-old Shih Tzu was adopted from a shelter home when she was 11. Most of his photographs feature her with her head bent sideways and tongue sticking out. While most of you may find it cute, fact is Marnie suffers from a permanant health condition that makes her look that way. 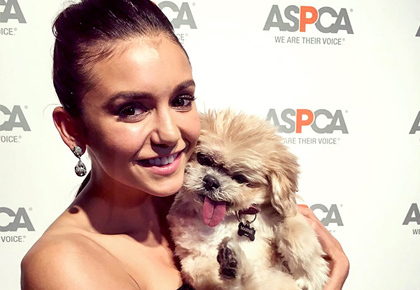 When she is not killing you with cuteness, she's posing next to celebrities like Neil Patrick Harris and Nina Dobrev among others. This red fox is quite tame, he's domesticated. 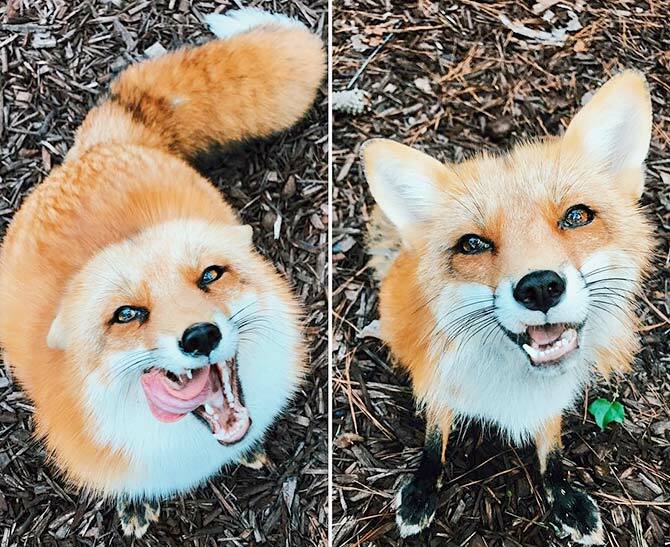 His Instagram page describes him as the the happiest fox. He loves cuddling on the mattress, pillows and every other furniture around the house. Juniper loves to inspect new objects and goof around the house. The husky/arctic wolf/malamute mix was bought home by Kelly Lund. Together, they travel the world and make amazing pictures in scenic locales where Loki is the star. 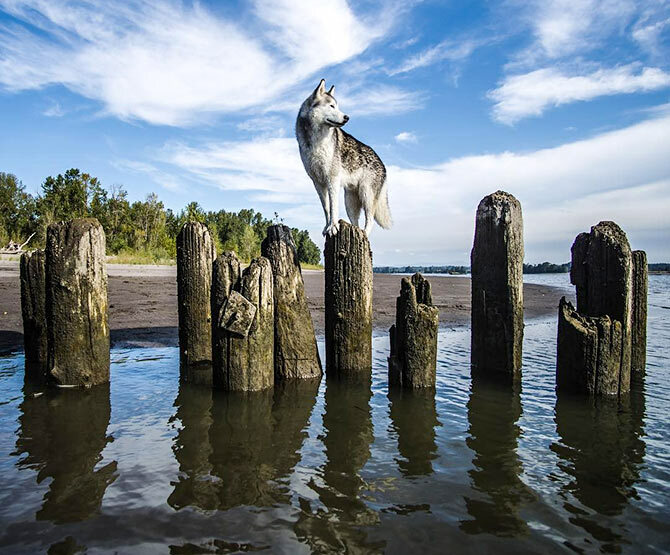 Lund lets Loki travel free in the wild and expects his photographs to inspire people to bond better with pets and animals. These are the most popular models on Instagram right now! Is this the food of the Dark Lord?